Rosacea is a condition causing redness and often small, red, pus-filled facial bumps. Although the cause of rosacea is unknown, there are common factors such as poor immune and adrenal function, bacterial, fungus and inflammation. 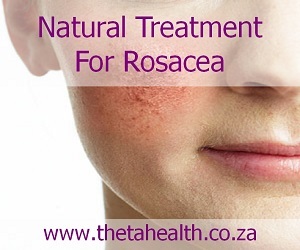 Try our natural rosacea treatments below. We have health products, vitamin supplements and creams to treat rosacea.